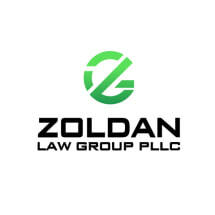 The Zoldan Law Group PLLC is an employment law firm providing legal services to employees, licensed professionals, and small businesses in Scottsdale, Arizona. Whether the client is in need of trustworthy advice, skilled negotiation, or a relentless advocate, our employment lawyers have a reputation for achieving positive results for our clients. In addition to employee representation, our attorneys advise businesses and entrepreneurs who want to enforce contracts or simply discuss areas of legal exposure. We also assist businesses who are under investigation for failure to adhere to current state and federal employment laws. At The Zoldan Law Group PLLC, we understand the full spectrum of adversity that employees face, and our skilled lawyers are fully committed to achieving positive results for our clients - whether in court or at the bargaining table.